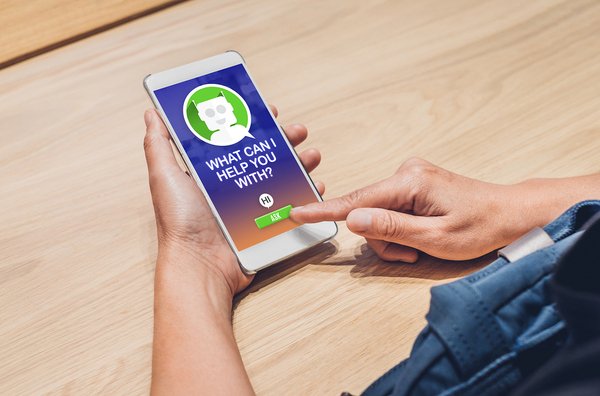 Chatbots, ranging from the cartoon assistants who pop up on customer support pages to recorded voice help assistants, are becoming more prevalent in customer service. In 2014, roughly 60% of customer service calls used a human call agent. Three years later, that number has dropped to just 33%. An attrition of human agents is widely expected due to fuller deployment of chatbots in organizations and greater acceptance of them, particularly by Millennials. Greater deployment of chatbots is also expected because of their growing sophistication. Now that you know this, maybe looking into the idea of developing the bot from scratch for your own business could be something worth checking out! You’ve already heard that it is having a positive impact, so it is worth a try. They are more and more able to respond to more sophisticated cues, such as voice tone. That’s partly because of increasingly knowledgeable artificial intelligence (AI) and machine learning, which power and educate chatbots. They can, as the University of Pennsylvania’s Wharton School points out, utilize voice tone to respond effectively to the request “please turn up the temperature.” If the requester sounds urgent and freezing, they hike it to a higher level. But is the growing deployment and sophistication of chatbots leading to them becoming the only customer service agents in town? Companies find that they are more cost-effective than human agents, yes. So they may fit into a cost-conscious business strategy. Chatbots are becoming more common, but do your customers like them? But there is also evidence that customers are not fully happy with customer service chatbots. Yet the relative unpopularity of customer service chatbots doesn’t mean customers are happy with human agents. Instead, as PC magazine pointed out late last year (in an article based on research firm Propeller’s data), customers seem to be deeply unhappy with nearly all customer service experiences. Customer service is predicted to be one of the most important factors for a customer continually using a business. This is why sites like Salesforce.com produce online customer service guides. Customers who “dread contacting customer support,” whether human or not, are in the vast majority, at 94%. They don’t like long waits, they don’t like hold times, they don’t like being transferred from agent to agent, and they don’t like the communication challenges sometimes involved with overseas-based agents. Customers want chatbots. Among Millennials, 65% saw it as a positive that chatbots be part of customer service; 55% of all respondents felt this. Back to the point – do people like the customer service chatbots provide? That’s another matter. For one thing, just 20% see chatbots as a definite improvement in the customer service experience. Now, 40% does sound somewhat hopeful for the future of chatbots. But that figure is somewhat negated by the over 60% of respondents who’d rather wait 3 minutes for a human call center agent than communicate immediately with a chatbot. A full one-quarter of respondents found chatbots mildly annoying, gave them no edge at all over human service, and didn’t expect to in the future. And 14% found chatbots very annoying and blamed them for getting in the way of good customer support. So what will happen in the technology news of the future? Despite the rise of the chatbot as shown by statistics (they’re more deployed), it isn’t clear whether customers will fully accept them. As a Wharton School dialogue observes, ultimate acceptance of chatbots will likely depend on more than whether or not they are there. It will depend on the same intangibles as human interaction, such as whether the customer feels satisfied and cared about, and whether the chatbot fits in with an organization’s brand. What’s the Status of Delivery by Drone? How Can Blockchain Continue To Grow?